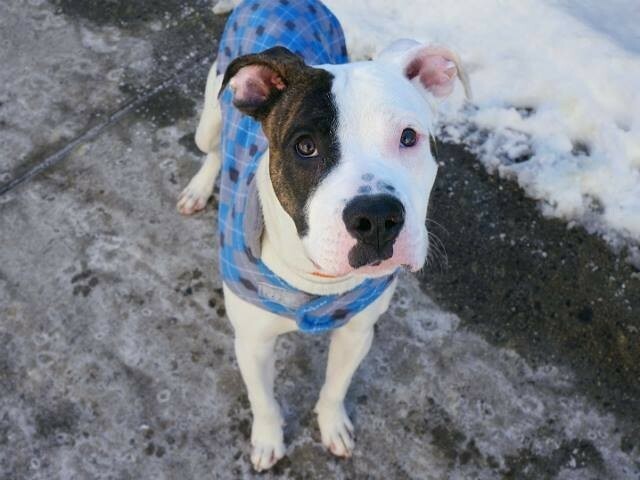 TEARDROP, 12 months old, 50 lbs Garden City, NY *** Handsome boy Teardrop is available for adoption! Teardrop is neutered, up to date on shots and microchipped. If you would like to meet this cutie pie, please contact AmsterDog at 917-689-8414 <3 A staff member writes: This boy will make your heart drop faster than you can say his name! TEARDROP! Three cheers for this handsome, long-legged fellow. He’s the epitome of athletic yet humble. He has a way of expressing his independence in ways that you don’t usually find. Once Teardrop finds you comfy as a pillow, he’ll want to stretch out and won’t want to leave your lap. But he’s also up for a nice run so he can feel the wind blowing in his face. I mean with those legs, can you blame him? Teardrop will blow your mind with his best-of-both worlds attitude, but there’s only one way to find out! A volunteer adds: He may not have found his family just yet but Teardrop isn’t feeling sorry for himself and you’ll always find him front and center in his den, chatting up a storm and eager to let everyone know that he can’t wait to get out and start doing what he does best–loving on his friends! Whether they walk on two legs or four, this sweet boy has enough room in his heart for everyone and he’s equally happy sitting on a warm lap or softly playing with other pups in playgroup. Out on the street Teardrop can be a bit overwhelmed by all the noise and bustle of the city but he responds well to a reassuring voice and tries hard to be brave, sniffing all around and greeting passing dogs with a happy tail. He appreciates treats and toys (or better still, a treat hiding inside a toy!) and takes them politely and he’s always happy to share his good fortune with others. A kind-hearted pup with a ton of potential, Teardrop is searching for a family to love and a safe space to build his confidence and become the amazing grown-up he was always meant to be. Won’t you reach out a helping paw today?